Students are our priority, so to address their immediate needs, we identified a select group of programs and initiatives that provide the support that students frequently look for from the Division of Student Affairs. 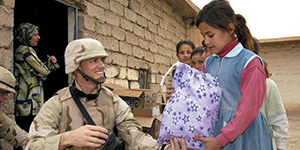 These select programs and initiatives need your support today. 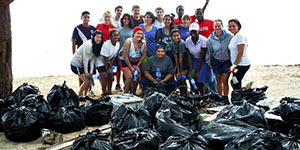 University of Maryland students excel beyond the classroom because of these unique and inspiring programs that take place beyond their campus community. 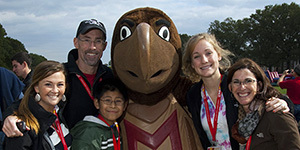 There are numerous programs that you can support today to ensure that students have the internship opportunities, as well as leadership and civic engagement experiences that define the Maryland experience. Inspiring the University and surrounding communities to take the time to contemplate and enjoy the quiet of nature. 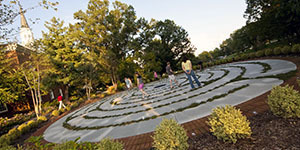 Used by several classes integrating the labyrinth into the curriculum; and as an outdoor laboratory for classes such as Landscape Architecture. AR*AC is a partnership between the University of Maryland and the Prince George’s County Public Schools which provides high quality after-school mentoring for elementary school students two to three days a week, helping them with reading, basic math skills, homework, problem solving, critical thinking with reflective writing, and hands-on group activities. As increasing numbers of veterans return from the service, the University will take the lead nationally in providing services to our veterans. The UM Veterans Initiative will provide the incentive and support necessary to help veterans achieve their academic and personal goals and enhance the support offered by the GI Bill. 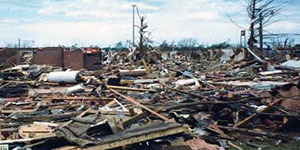 Established in 2001, the Crisis Fund helps keep students during a personal and unexpected crisis. The Fund has replaced textbooks and clothes lost in an off-campus fire, helped a student who was unable to pay for a medical prescription, and even helped pay medical expenses for student's emergency surgery. This program engages individuals in short-term service-learning experiences that challenge social, political and economic structures of our global community. Through reflection, education and service, Alternative Breaks develops mutually beneficial community partnerships, critical thinking and leadership skills to create a socially just world. 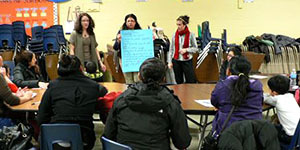 This program provides parents, family members and friends with an important opportunity to enable the Office of Parent and Family Affairs and the Maryland Parents Association to continue efforts aimed at improving the quality of their student's undergraduate experience by providing scholarship and programmatic support. 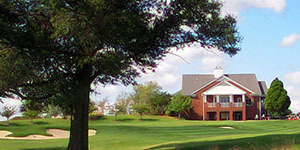 Situated just west of the heart of campus on 150 acres of rolling hills and mature hardwoods, the picturesque and challenging UM Golf Course The professionally staffed facility features a spacious clubhouse with conference and banquet rooms, Mulligan’s Grill and Pub, a full service golf shop, and locker rooms.